Doha, 07 February 2018 – Banana Island Resort Doha by Anantara is offering its valued guests culinary arts classes in the Italian cuisine through its program - ‘Spice Spoons School’. Following the huge success of its Thai cuisine cooking classes, Anantara now invites its patrons to learn the art of authentic Italian cooking. Also, relish the handmade authentic Italian dish al fresco on the balcony of Riva restaurant overlooking luxury yachts in the marina and soaking up an Italian Riviera atmosphere. Guests can also enjoy authentic homely lunches of delicious pastas and salads. Italian cuisine is noted for its regional diversity, abundance of different flavors, and known to be one of the most popular cuisines of the world. More than a meal, Italian food is an event, and is not only about pastas and pizzas. Gourmet dinners at Riva begin with antipasti delights, leading into scrumptious fresh seafood and meat dishes, followed by imported cheeses and irresistible desserts. Savor the passions of Italy in the contemporary trattoria dining room. The range and quality of food and beverages and unique concepts such as the Wine Guru and Salt Guru will offer guests additional insight into the fascinating world of Italian cuisine. The Spice Spoons School is a novel concept initiated by Anantara to offer its guests a unique experience to hone their culinary skills. The Spice Spoons School is much more than just a cooking class, and it began by offering a rich and interactive immersion in Thailand’s world-famous gastronomy, renowned for its artistry and unique four flavor balance of salty, sweet, spicy and pungent. Anantara now brings this experience to Italian cooking. Nestled amidst a relaxing beach environment, accented with ocean blues and sandy whites, guests can enjoy an extensive, delicious array of palate-tantalizing dishes from the heart of Italy, while spending a laid-back night with their family and friends. 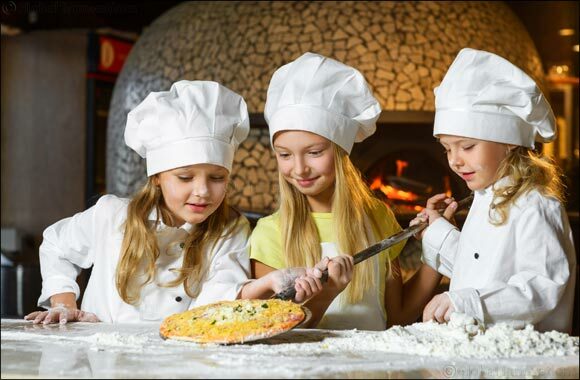 Spend a memorable stay in a idyllic ambience of complete escape, while discovering the world of unique flavors that Italy has to offer, right in the heart of Doha and leave with wonderful memories and impressive new skills to entertain family and friends back home.